Valentine’s Day doesn’t have to be all about pink hues and red accents, right? 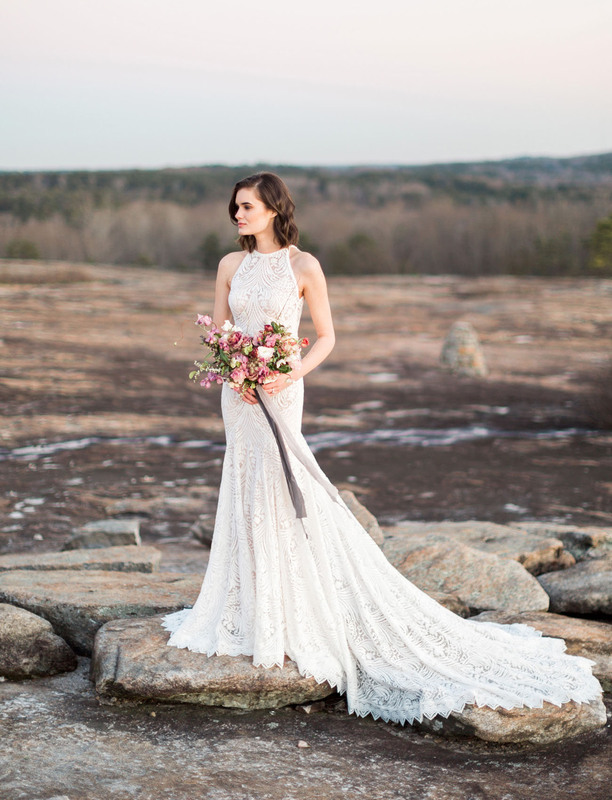 Though we love a good blush pink and dusty rose, we were thrilled when we saw this modern taken on Valentine’s Day featuring clean whites, deeper pink hues, and a touch of gray and dusty blue! 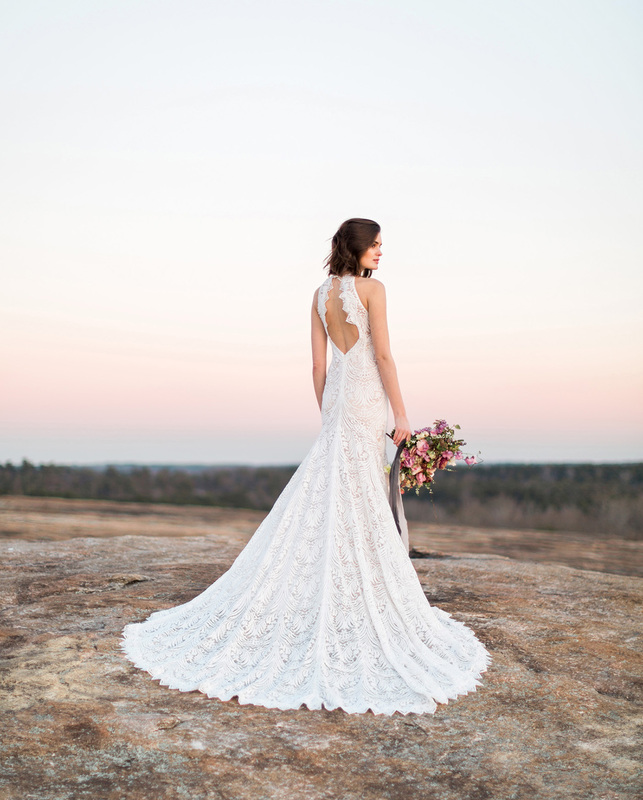 Planner Taylor Dawn teamed up with Rustic White Photography for a trek out to Arabia Mountain in Georgia, where the bride donned our Lovers Society x Green Wedding Shoes gown (schedule your fitting here)… as you can probably imagine, we couldn’t help but SWOON! Taylor shares: While still holding a streamlined classic feeling, the full day has a striking distinction from the neutral tones we are so used to seeing in weddings today! We like to describe this look as modern and classic, with a slight bohemian twist… You’ll see what we mean below! Ready to absolutely *fall in love*? Let’s wander to the mountain! 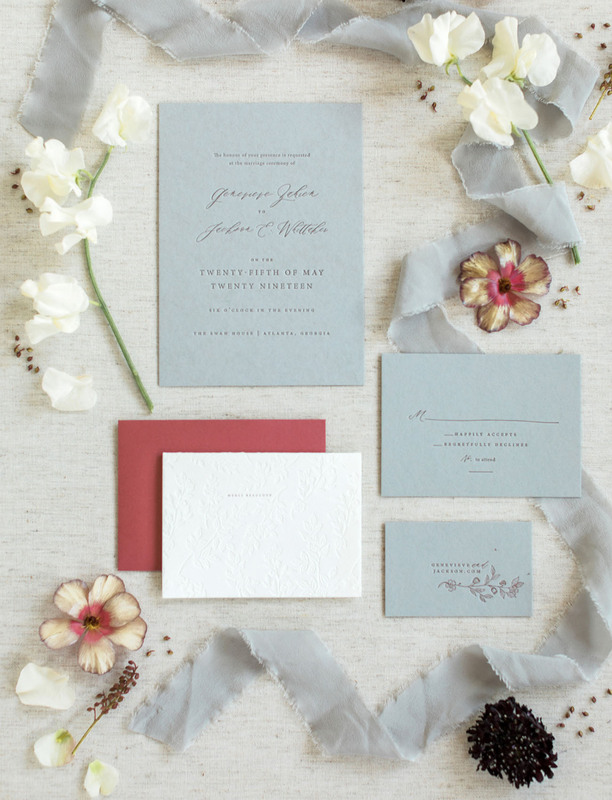 To bring in the other pops of color, The Impressionist crafted this gorgeous letterpress invitation suite. Doesn’t this look so elegant? 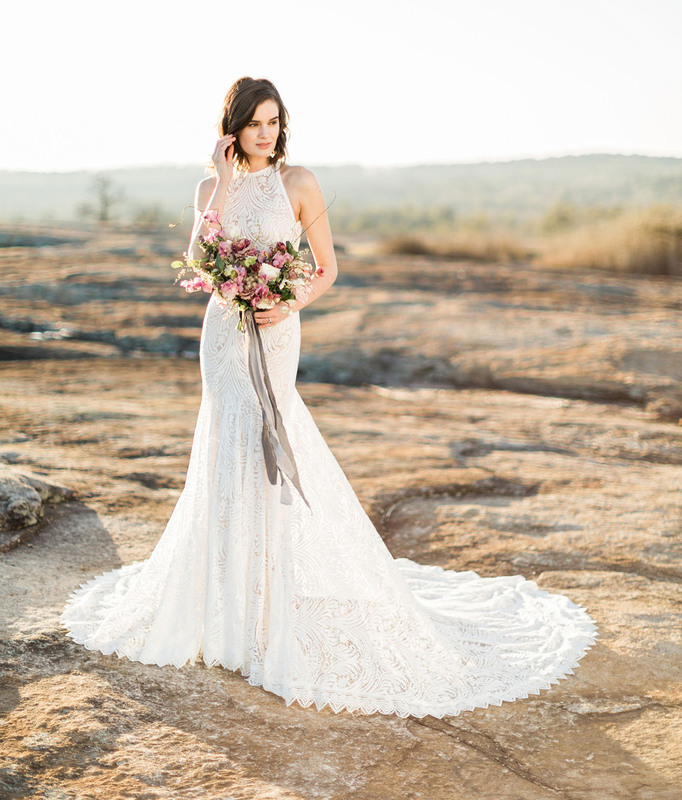 Okay, okay… So we *might* be a little biased, but this is one of our all time favorite gowns! 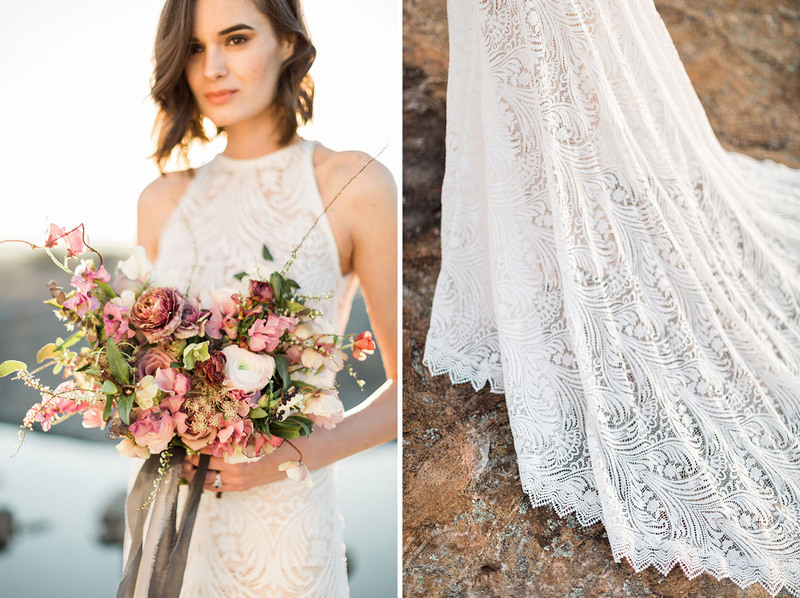 I mean, would you take a look at all that LACE + the detailed edging? Awooooogah! Feeling like the ‘Phoenix’ by Lovers Society x Green Wedding Shoes could be the dress for you? 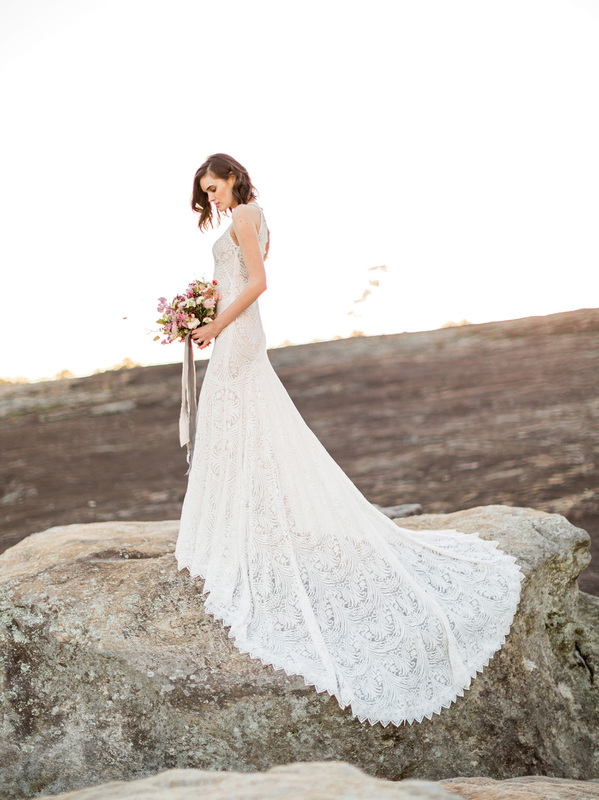 It’s available at Lovely Bride and you can book your fitting here! We’d be remiss if we didn’t mention the gorgeous curls Claudia Mejerle crafted for the bride! Wavy goodness! 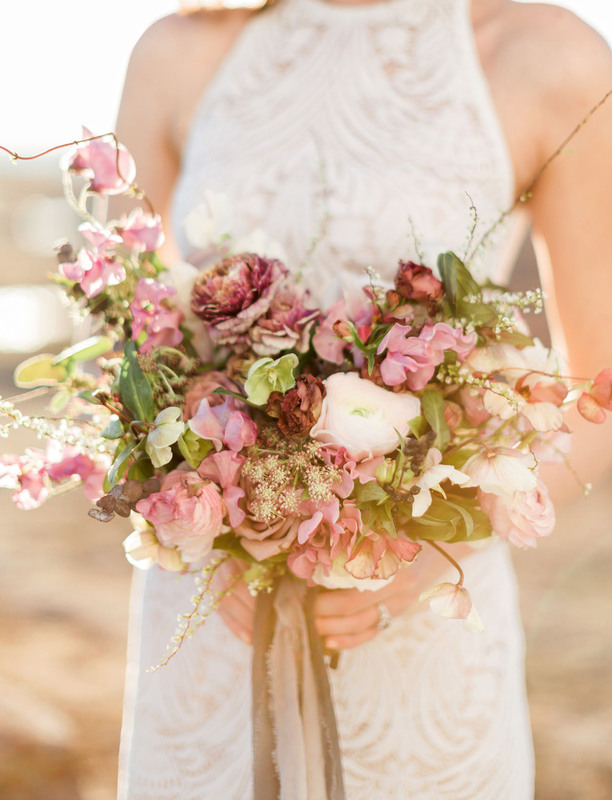 Hello dreamy florals!! 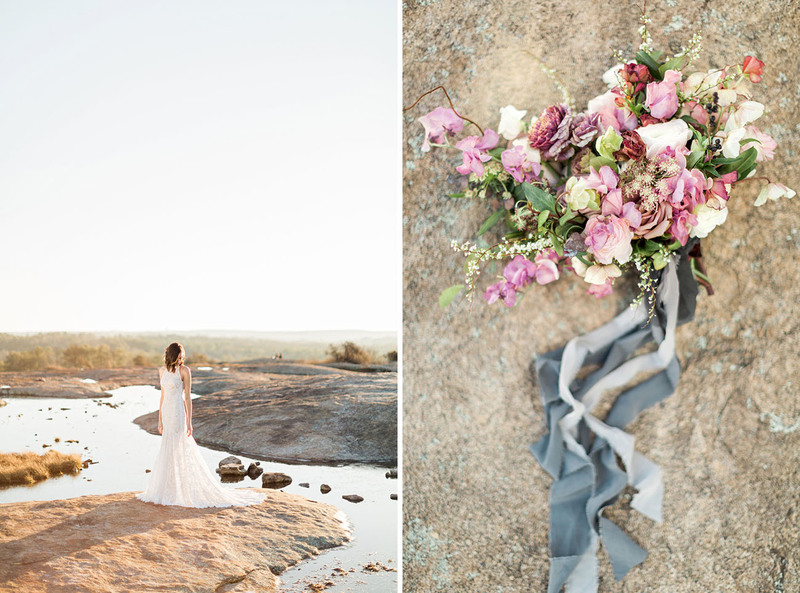 This exquisite bouquet from Amy Osaba Events pulled deeper Valentine’s Day-inspired hues, while complementing the colors of the sunset and surrounding mountain top. 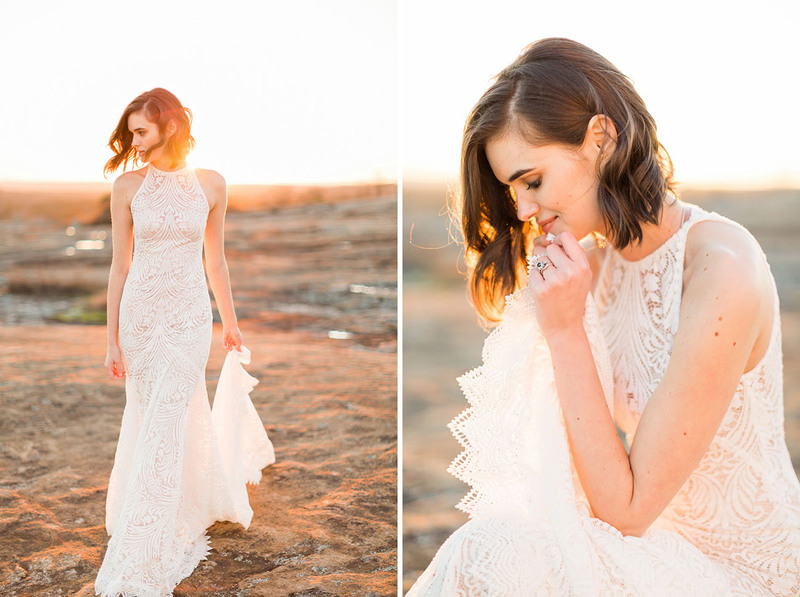 Those sunset hues + the back of the dress… Some things are just made to go together! 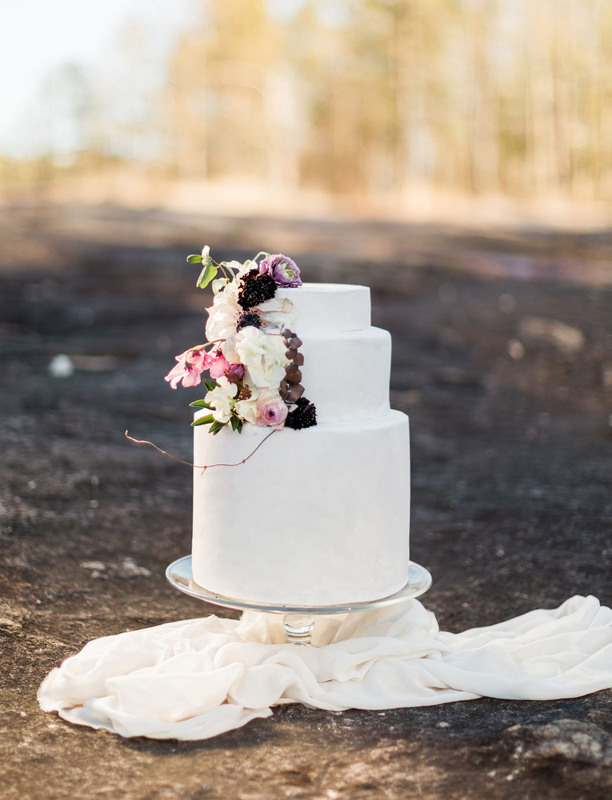 When it came to the cake, Pastry Shells crafted one understated + elegant confectionary delight. The idea behind the design of the cake was to create a hand-painted look that semi-resembled the rock elements of the mountains. Win the Phoenix Dress from our Lovers Society X Green Wedding Shoes Collection! It’s definitely the dress that stands out for me because of that regal train.